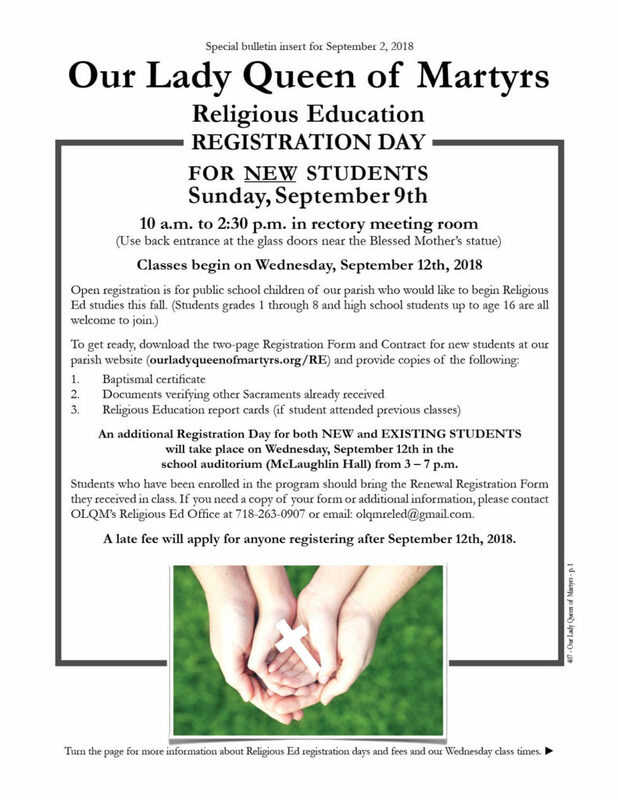 Religious Education Open Registration Day for New Students is Sunday, September 9th, from 10 a.m. to 2:30 p.m in the rectory meeting room (use back entrance at the glass doors near the Blessed Mother’s statue). Classes begin on Wednesday, September 12th, 2018.
school auditorium (McLaughlin Hall) from 3 – 7 p.m.
Students who have been enrolled in the program previously should bring the Renewal Registration Form they received in class. 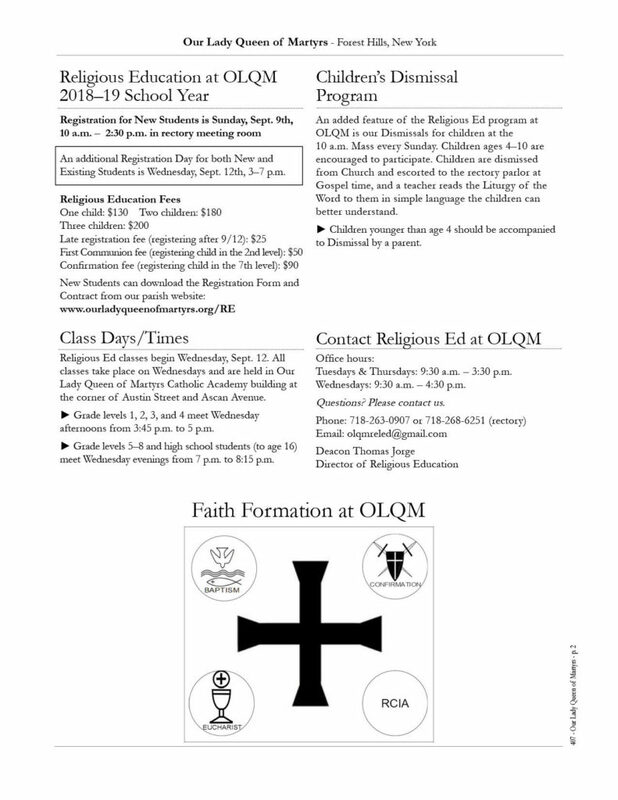 If you need a copy of your form or additional information, please contact OLQM’s Religious Ed Office at 718-263-0907 or email: olqmreled@gmail.com. A late fee will apply for anyone registering after September 12th, 2018.